If you want to host a Christmas party at your home, but budget is causing a problem, your best option is to plan a Christmas potluck. All the guests you invite will bring a dish, which will help you keep the expenses in check. Remember to plan the Christmas potluck well in advance because almost everyone has plans around that time of the year. All you need to is to make a list of the guests, plan a menu and come up with a suitable date for the party. The first thing you need to decide is the number of guests you will be inviting to the Christmas potluck party. Keeping the size of your house in mind, decide what will be an appropriate number of people who can comfortably eat and socialise in your home. Make a list of the guests you plan to invite and try keeping a balance between the number of men and women. Choose an appropriate day on which you want to host the party. Remember that the week before and after Christmas is very busy for people and most of the guests you plan to invite may be out of town during that time. Ideally, Friday or a Saturday night at least two weeks in advance of Christmas will be a good time to host the Christmas potluck. Planning the menu in detail is also very important. Make a list of the items that you plan to serve, so that you can make your guests aware of a possible dish that they can bring along. 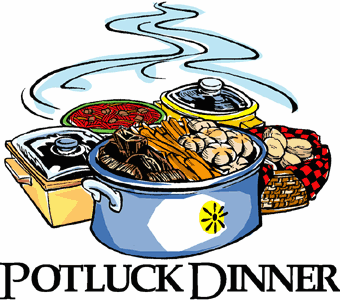 If you are planning a dinner potluck, you will need salad, side dishes, bread, beverages, dessert and other food items. If it is an appetiser party you are planning, you will have to ask each guest to bring along an appetiser dish too. Call all the guests on your list and make them aware about your plan. Invite them over to your home and remember to tell them that it’s a potluck party, so they will have to bring at least one dish. Ask each guest what dish they would prefer to bring along, when coming for the party. Maintain a list of all the dishes each guest will be bringing. This will help you make sure that you have a variety of dishes, not just one or two. When calling the guests, advise them about the item they should bring along. At least one week before the planned date, call all the guests once again as a reminder. If any of the guests tell you that they will not be able to make it, you will still have enough time to invite other guests.